This page and the face-to-face page tell you all you need to know when you first visit Probably42. Later you can find more detail at the links below. Probably42 - The answer to life, the universe and everything? The goal of Probably42 is to generate ideas which address some of the big issues and opportunities of our time. That sounds very grand, but we want to achieve it by encouraging the spread of a relaxed, enjoyable, sociable activity, supported by the resources of this web site. Most of us enjoy a chat, perhaps over a drink and a bite to eat, and putting the world to rights. We want to encourage that, but in a way that creates an output of ideas that improve some aspect of life, society or government in the country. A formative group of us have met in a face-to-face ‘Pie and Pint’ meeting each month for the last year, to discuss, in a structured and balanced way, the major issues the UK faces and how to tackle them. The ideas generated are made visible here on Probably42, for others to contribute to, or to add their own ideas and are periodically assembled into a ‘Manifesto of Ideas’. This manifesto is then the centrepiece for making ideas visible to decision-makers. Our aim is to encourage others, like yourself, to do the same, setting up, or joining, a Pie and Pint meeting. You’ll find the meetings are very enjoyable and sociable with plenty of humour, as well as producing some useful output. To find out more about the nature of the meetings and how to set one up (we started with just 3 of us), take a look at our face-to-face section to see how easy it is. 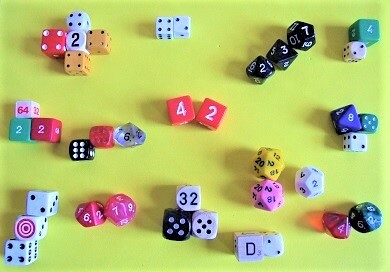 The other big benefit of Probably42, for us as individuals, is that the meetings and the site provide an outlet for our individual Knowledge, Skills and Experience (KSE), especially those of us who are retired, and is an opportunity to exercise our minds and make our ideas count in large and small ways. Probably42 is based on the premise that there is a huge pool of untapped Knowledge, Skills and Experience between us, that if brought together can come up with many good ideas, large and small, for addressing the big issues of our time. You can be involved through face-to-face meetings, or just online by using the various mechanisms to contribute or comment on others’ ideas. The Ideas section captures the main ideas generated to date and the Manifesto brings these together and summarises them in a coherent way. It’s surprising how the ideas from individual meetings and contributions build up. Balanced, Impartial, Factual, Respectful and Encouraging are just some of the adjectives that apply to both the nature of the meetings and the web site. There are guidelines to assist when contributing and commenting both offline and online. The goal is well thought through objective ideas. The first step is to Join as a Probably42 member, this allows you access to everything and to see other members (which you can’t do otherwise). We would very much appreciate your support of the Probably42 Idea just by joining – it costs nothing and you can opt out at any time should you so wish. However, we hope you will go further by forming your own Pie and Pint Group, joining an existing one, or just commenting on the outputs of others online. When you sign up we’ll send you an occasional email (typically once a month) highlighting some of the latest contributions. If you have any questions don't hesitate to use the contact us facilities to talk to us. Probably42 is non-profit making with an altruistic purpose to bring benefit to us all. It is not a campaigning site for any specific ideas. Instead it aims to be a means of developing and giving visibility to excellent ideas, which can then be taken forward by decision makers, experts or other groups. 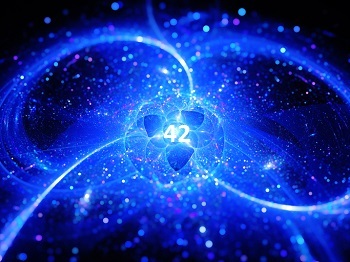 If you remember the Hitchhikers Guide to the Galaxy you will know that the ultimate answer to life, the universe and everything was 42. We’re not quite there yet, hence the ‘Probably’! Probably42 is the web site for The Knowledge, Skills and Experience Foundation. For more information about the Foundation click on 'About Us' in the footer menu on each page.